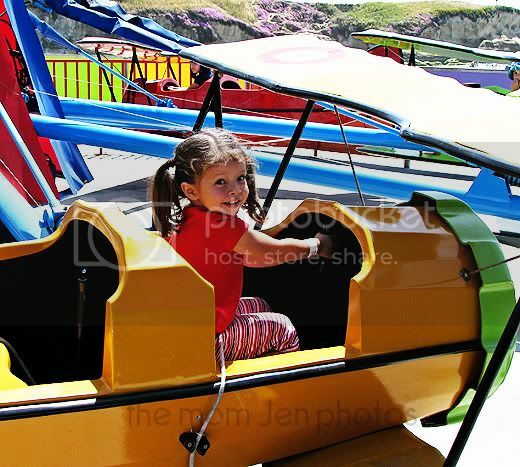 I'm ending the week-o-fun-photos with a plethora of bright colored fun! Are you sure she's big enough to ride this? Check the boys' experssions in the back! 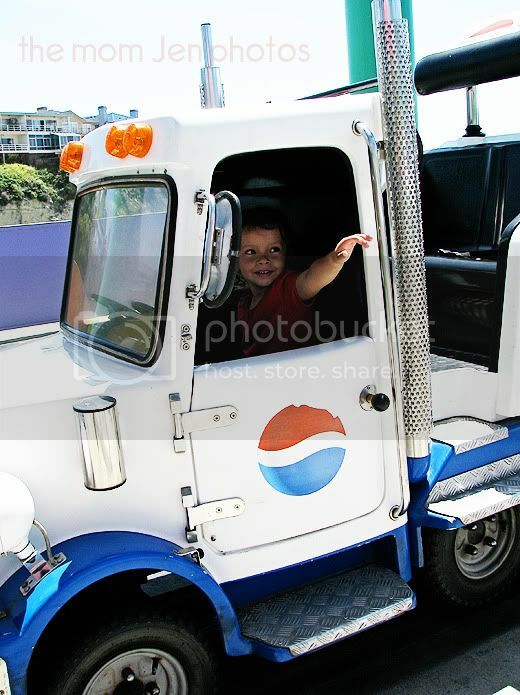 Later, me gots some soda to deliver. I love her, she is such a little DAREDEVIL! Looks like they had so much fun! 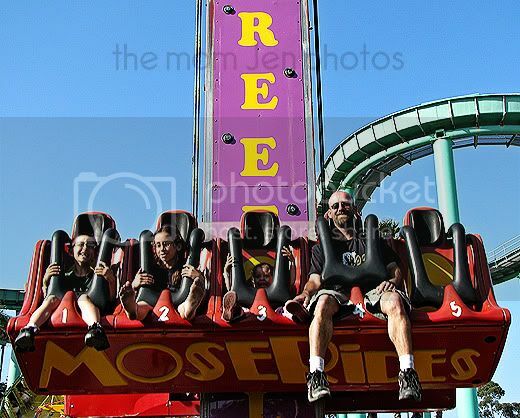 I can't wait until next month when we're going to Kings Island I love amusement parks! Awww, very cute photos! 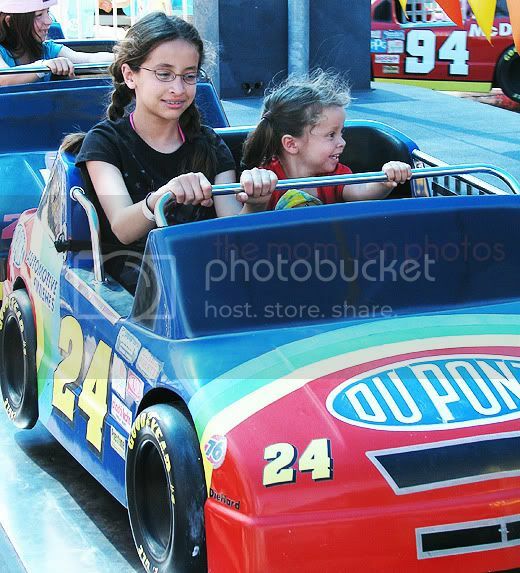 And she does look so little on that one ride! Yikes! Totally off the fun meter chart! Great photos. Wow, that looks like an awesome family day! My kids would be in heaven. I love the log ride. I've loved looking at all your pictures this week. Looks like you all had a great time! 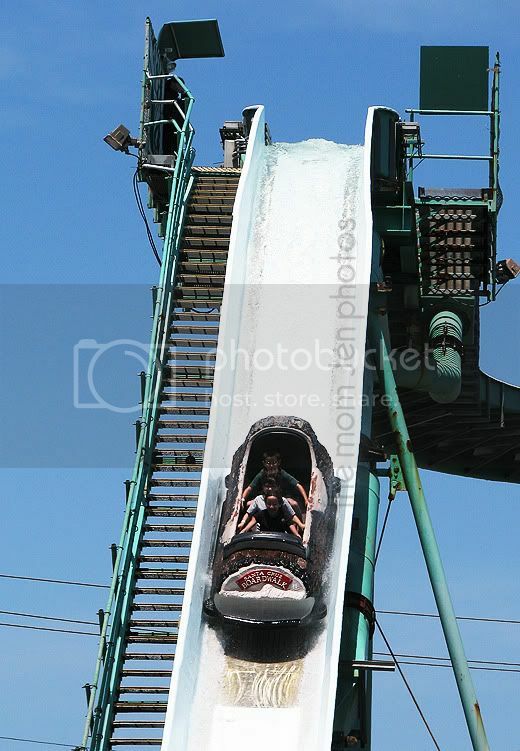 oh boy that does look like fun...There was a time that I would have loved to do all of that myself...as well as share it with my kids...Unfortunatly I found out the hard way that my body just cannot take that kind of excitement anymore!! That is some serious fun-ness! Yeah ... I'd totally rather be there than going to work!!! Looks like ya'll had a terrific time! 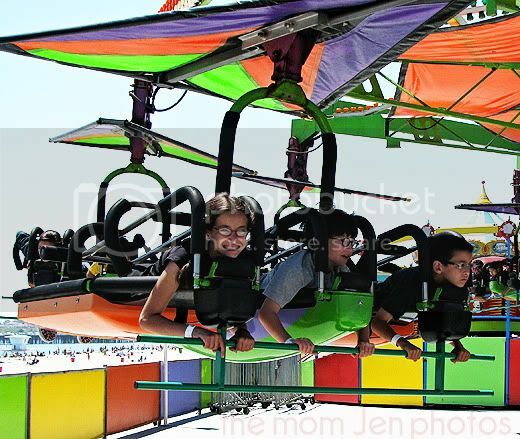 LOVIN' the color and the family fun! These photos put me in the best mood! I love all the colors!!! Your children are such the little daredevils! I would have been in panic mode all day! Glad they had fun though! The colors in those pictures are awesome. In the third one she looks so tiny. wow those photos are so bright! Love the ones of the sisters riding together! 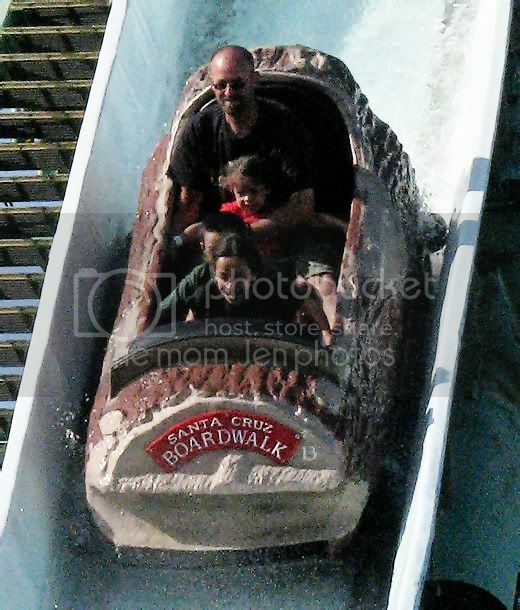 I love Santa Cruz beach boardwalk, we don't live too far from there. Its such a classic place to take your kids. That is the beach we first took our son when he was born. 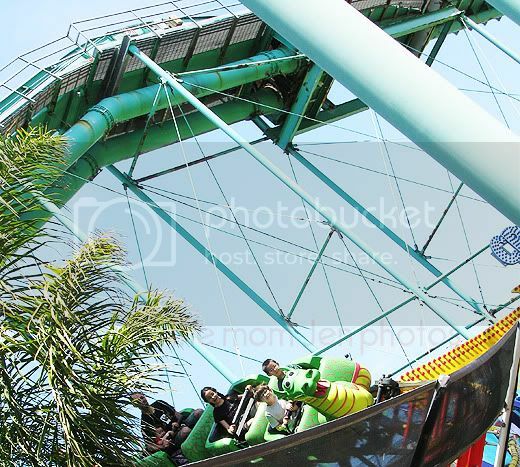 Wow....I'm so impressed that all three wil take on any ride.....I have one that will ride anything and even forces me to ride things that terrify me (The Hulk at Universal...AGHHHHHH! ).....but my other two are not quite so gutsy yet! You take the most fabulous pics! 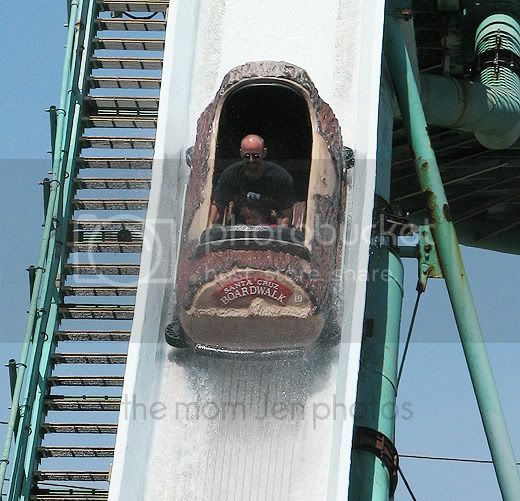 My stomach fell to my knees just looking at the pictures of the log ride. Holy smokes - that is one HUGE drop!! BTW, I think that your work on Tena's blog header is fantastic. I would love to hear about how you did it. Did you design that nurse? It's just fantastic. i'm disappointed. no funnel cakes! 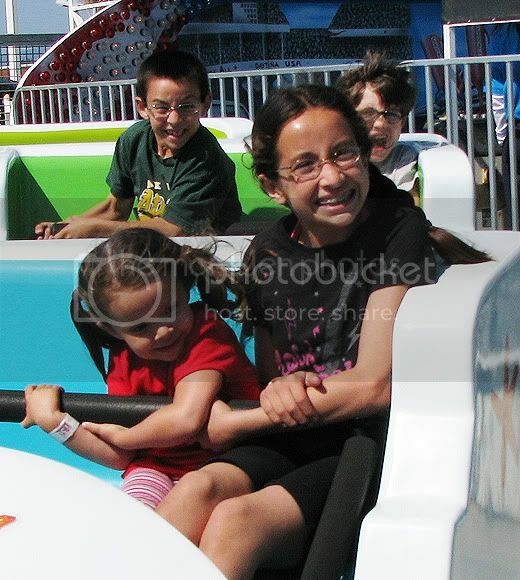 i can't believe k is on that scary ride tooo! 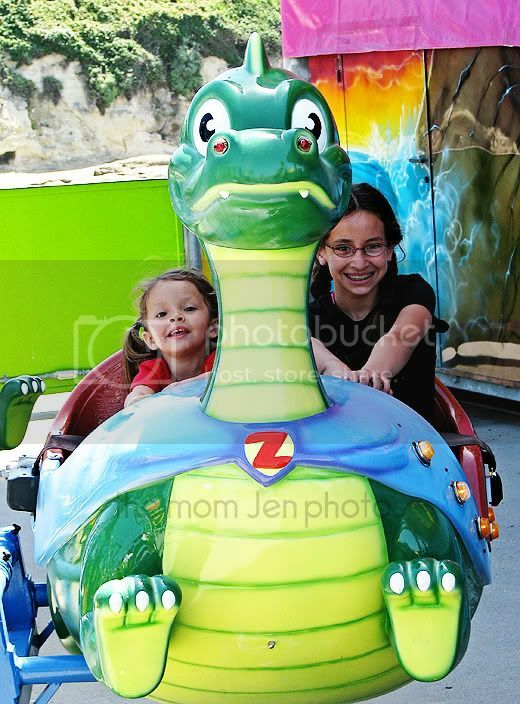 That dragon coaster still exists! My little sister LOVED that thing. I had fun taking her on it too. Looks like a ton of fun. Your daughters are lovely.